It is time to dust off your outdated ideas and hesitations about travelling in what was the Soviet Union. 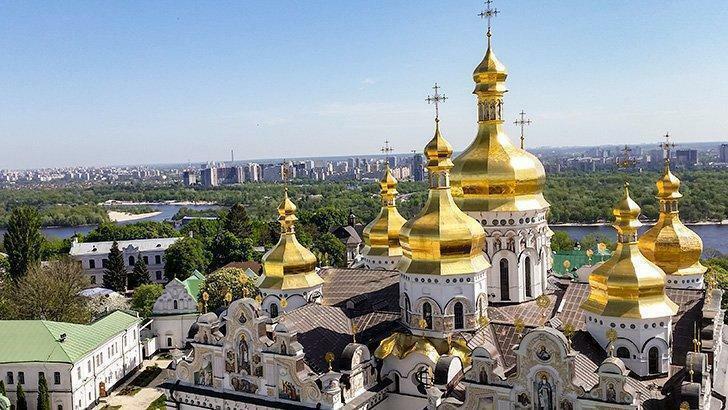 Modern Kiev, Ukraine not only smashes the stereotypes but also exceeds the expectations of the savvy traveller searching for a destination with authenticity and integrity. 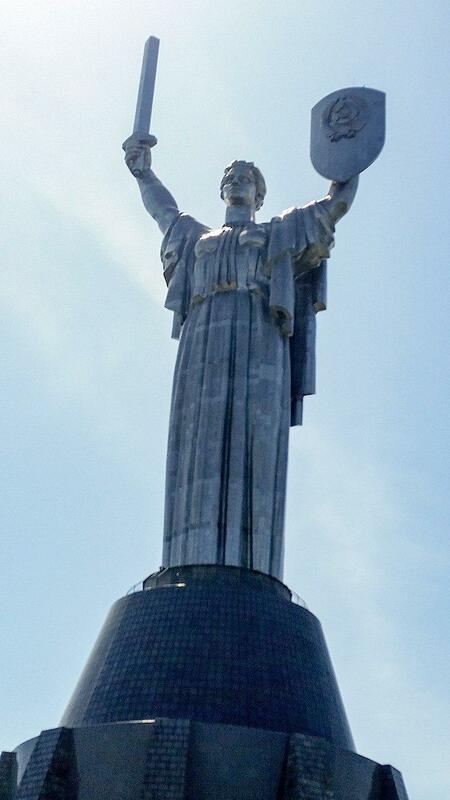 Kiev, for the first time in hundreds of years, has returned to herself and is bursting with enthusiasm for the future, while honouring the sacrifice of patriots both ancient and modern. You can spend a full week in Kiev, as I did, and still not see all the sights worth seeing, or take in all the history lessons on each bend in the river, nor would you exhaust the diverse and unique dining options. I lived in Kiev in 1992, just after the collapse of the Soviet Union. At the time, food was scarce, bread lines were long, and the city was dreary and dirty. Many of the city’s landmarks were starkly communist, and others were in need of restoration. I was quite amazed to find such a welcoming, modern and colourful city at my return 25 years later. Maidan, or Independence Square bustles day and night in Kiev, Ukraine. In 2014 this central square was ground zero for the ‘Euromaidan’ protests in which 125 people died while peacefully protesting the policies of then-President Yanokovich. The revolution that followed brought a renewed awareness of national culture, history, and pride. While at the Maidan, enjoy the vibrant street culture, shopping, and dining, but don’t leave without paying tribute to those who died for freedom from tyranny by tying a blue and yellow ribbon at the memorial of the Heavenly Hundred. Whatever your political views, you will be moved, as I was, by the local youths’ longing for a free and open country and impressed by their devotion to the ideals of liberty. Signs of the Soviet past still linger around the corners just to the east and south of Independence Square in the governmental buildings from the 1930s when Soviet authority was rooting itself in Ukraine’s consciousness. 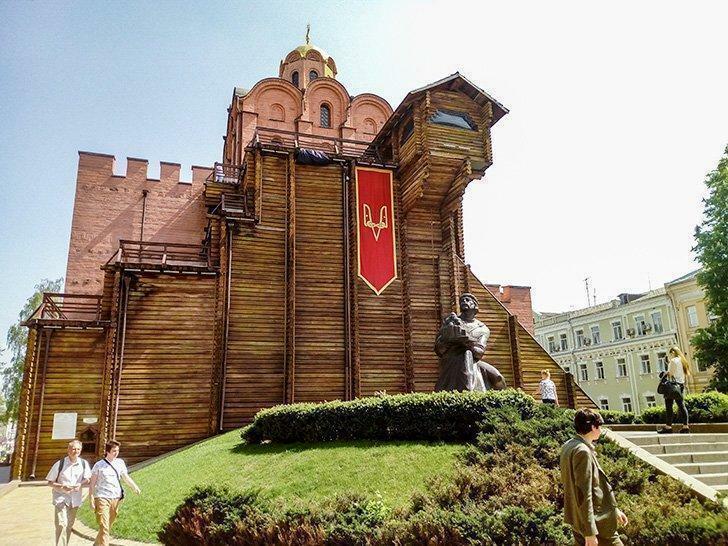 While the Lenin monument in the old city centre was torn down in 2004 by those protesting rigged elections, more prominent monuments to the communist legacy are still found in all their propagandist grandeur. 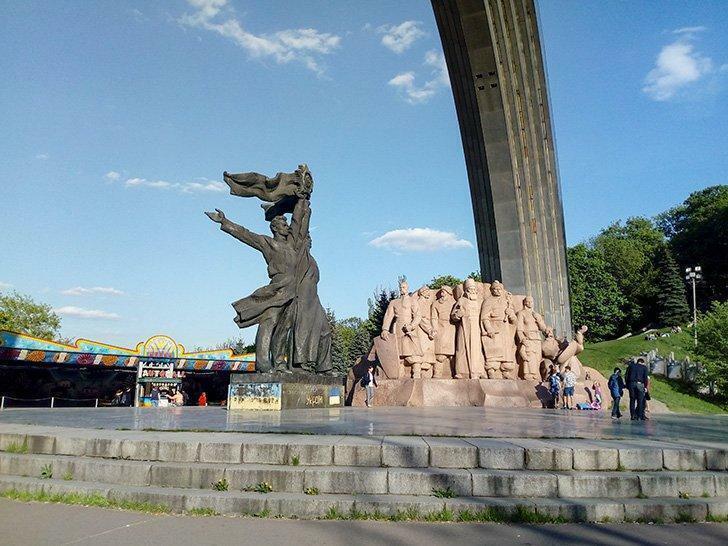 The Motherland Monument speaks to Kiev’s Soviet Past. 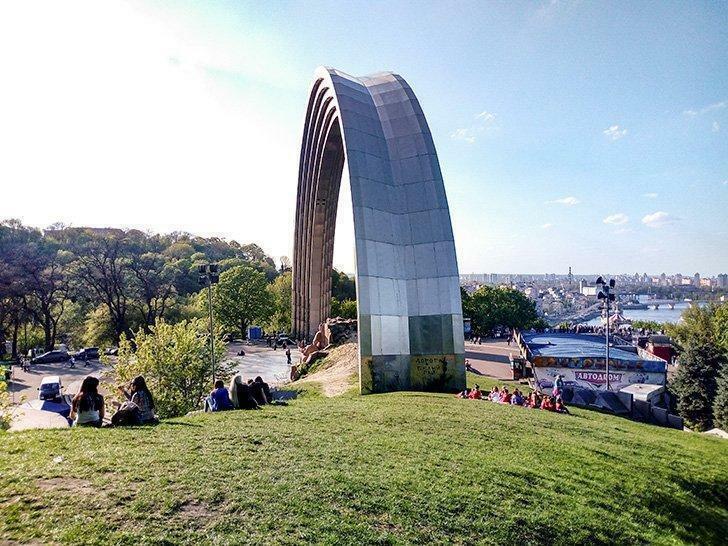 The People’s Friendship Arch overlooking the Dnieper River at the end of Kreschatyk Street offers a flavour of the omnipresent Soviet agenda. You’ll also find a Soviet war memorial, the Motherland Monument, at the far end of the river bluff, which commemorates the liberation of Ukraine by the Red Army from the Nazis in 1945. Signs of Ukraine’s Soviet past linger in modern-day Kiev. Sandwiched between the old Soviet monuments lining the high river bank is a reminder of Czarist rule over Ukraine. Mariinsky Palace in its powder blue Italian Baroque style looks like something right out of St. Petersburg, Russia. This was a summer home of the Empress, built in 1752 in the height of the Czarist era. The Palace sits in a leafy oasis of trees, benches, and peaceful strolling paths called Mariinsky Park. Linked with other parks down the river bank, it creates the perfect escape from the heat and grit of the metropolis in the mid-afternoon. Fun activities for children are available in the park, from pedal cars to an amphitheatre, with vendors selling cold soft drinks and juices, Italian coffees, and yes, steamed corn on the cob. Napping on the high-backed benches for a few minutes is not a problem in these relaxed and litter-free public spaces. To learn more about the history and architecture of the Pechersk District, book a 3-hour guided tour of this fascinating neighbourhood. For centuries before the Czars, Kiev was the centre of Slavic spirituality. The ancient churches and monasteries dotting the old city are both wildly beautiful and intricate, yet have an air of modesty and reverence. The twin blue towers of St. Sophia’s Cathedral and St. Mikhail’s Monastery face each other on either end of Volodymirskyi Passage, near the Maidan. Their golden domes alternately set each other off with the sunrise and sunset. St. Mikhail’s is an active sanctuary attended by groups of singing priests in beards and black robes who live on site, providing worship services to visiting believers. St. Sophia’s is not an active church, but a museum of Byzantine history and architecture and the first UNESCO World Heritage site in Ukraine. Entry fees to all the city’s museums are quite affordable for western visitors and will enable you to enjoy all of Kiev’s cultural offerings. 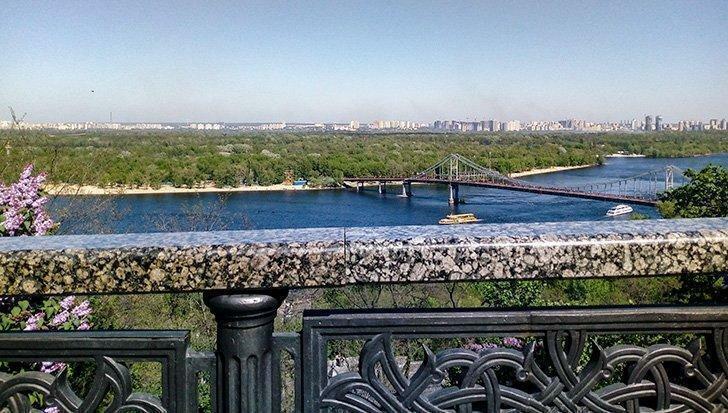 Overlooking the river near the Motherland Monument is Kiev’s crowning complex of cathedrals, chapels, monasteries, catacombs, caves, and bell towers in the ancient compound known as the Pechersk Lavra. 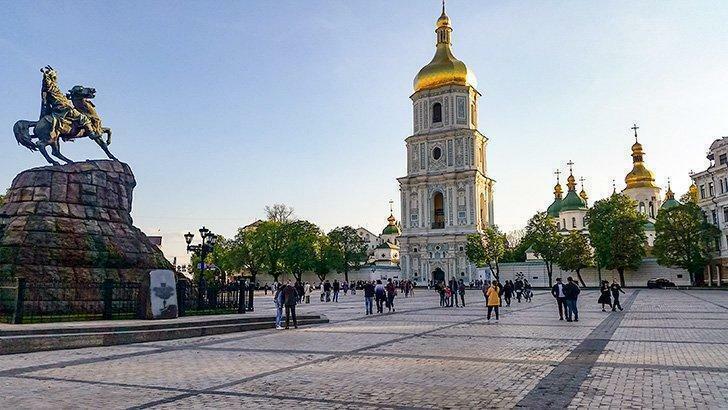 The panoramic view and the opportunity for a breathtaking selfie from atop the Lavra’s bell tower are well worth the climb – if the stairs don’t take your breath away, the view will. You can even book a private tour of the monastery with pick up and drop off at your hotel in Kiev. Before the churches and monasteries, before the Czars, and before the Communists, there were Yaroslav the Wise and Prince Volodymyr. These men are revered as two of the greats from Kiev’s history who helped create a city-state that projected power all over the ancient Slavic lands. The Golden Gate museum is one of Kiev’s top tourist attractions. Yaroslav is interned in St. Sophia’s Cathedral, but you can visit his monument at the Golden Gate Museum a few blocks away. It’s a recently restored city gate that marks the main entrance to the (then much smaller) walled city. The ancient structures of stone arches hidden inside the modern restoration are interesting to see and touch. Prince Volodymyr is the leader credited for bringing Christianity to the Slavs and creating the alliance with the church in Constantinople which was a motor to Kiev’s expansion. A special monument to Volodymyr commemorating the baptism of Kiev in the 10th century is found behind the St. Mikhail Monastery in a pleasant park with another sweeping vista over the baptismal waters of the river. 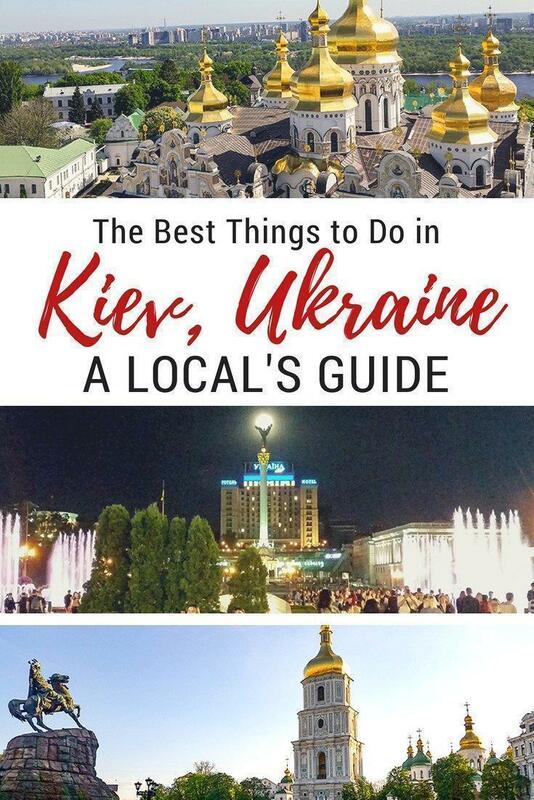 If you’re planning to tour beyond Kiev, be sure to check out this great guide to Lviv, Kiev and Odessa. 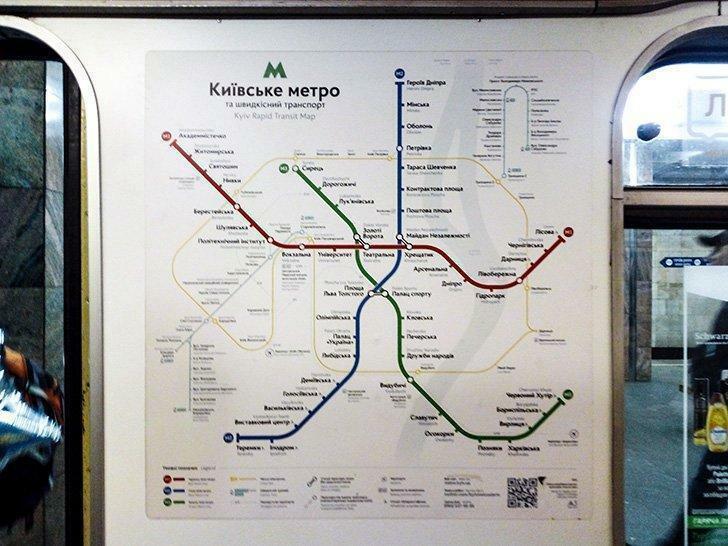 It’s easy to navigate Kiev’s metro lines. Even though Kiev is an ancient city, make no mistake about it, the city has become a bustling modern metropolis. With a population of over three million residents and a national university in the city centre, it’s brimming with youthful energy and modernism. Public transport both above and below ground can be classified as “dirt cheap” although both methods are clean and convenient. A one-way ride on the Metro costs five grivnas or approximately $0.20 per trip. For those who cannot read the Cyrillic alphabet, Kiev has numbered each of its metro stations to help you get around without getting lost. A tourist with a map of metro stations with the corresponding numbers can get around on the metro just as quickly as the natives by following the numbers displayed on the overhead directional signs. You will have no excuse not to see everything… except maybe your aching feet. 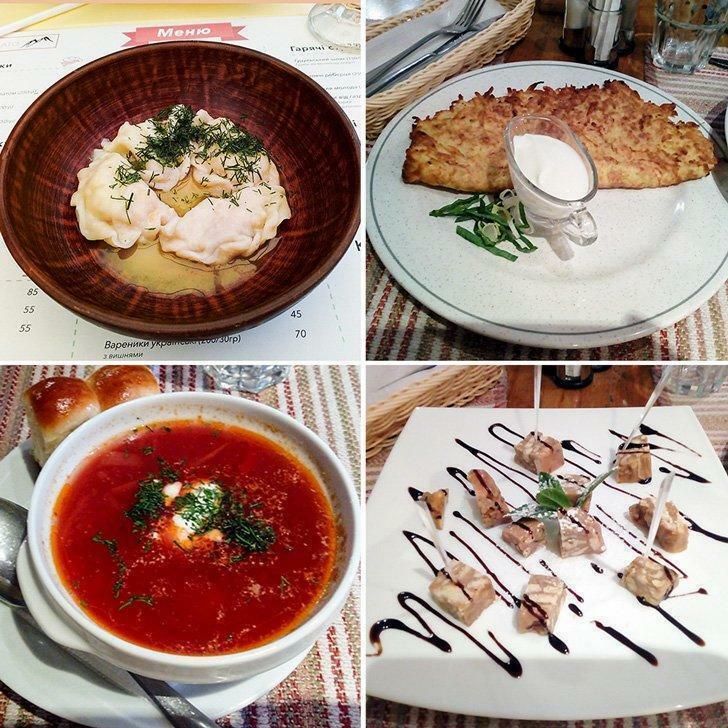 If you’re wondering what to eat in Kiev restaurants, trying authentic Ukrainian food is a must. 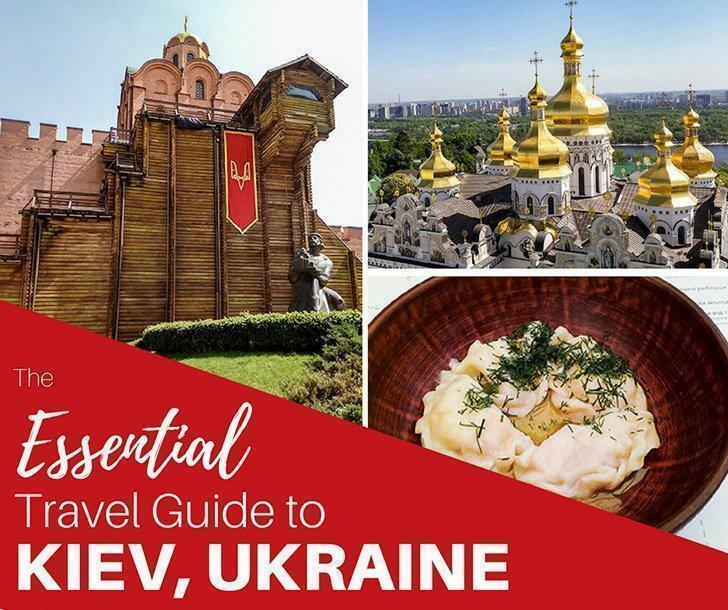 When you need to rest your feet and fill up with a good meal, Kiev will not disappoint in quality, variety and affordability. Kiev offers savoury traditional Ukrainian food made with fresh, local produce in several different restaurant chains all over the city. (Try Pyzata Hata, Taras Bulba, or Korchma.) 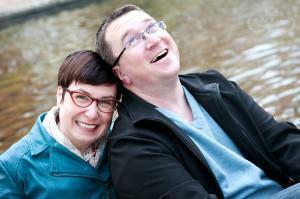 A full dinner of several courses for two people will set you back $25 at the most. Don’t miss the chance to try Ukrainian cuisine on a private Gastro Tour. Don’t miss the change to eat at a Georgian Restaurant in Ukraine. 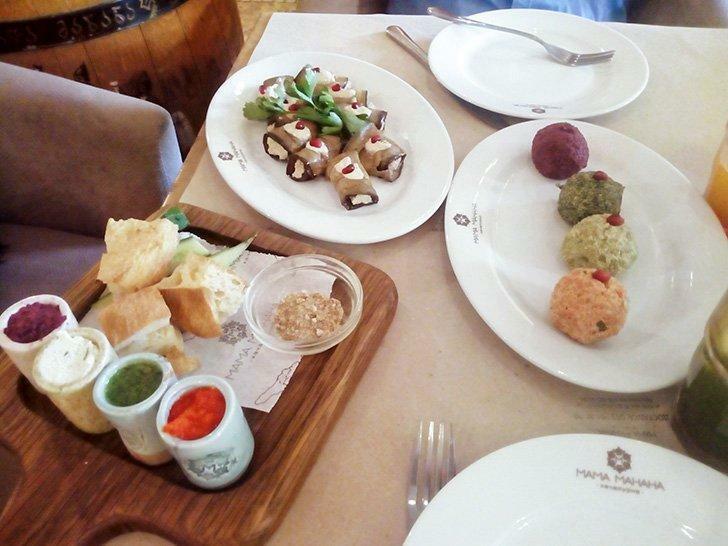 In addition to Ukrainian food, don’t miss the chance to eat at a Georgian restaurant. Revered as the best cuisine of all the former Soviet republics, the Georgian kitchen offers something completely different from typical European cooking with its creative flair, rich flavours and baked bread. A casual lunch at one of Kiev’s sidewalk cafes is even more affordable. Produce is fresh and healthy, bread is freshly baked, and juices and lemonades are freshly squeezed. 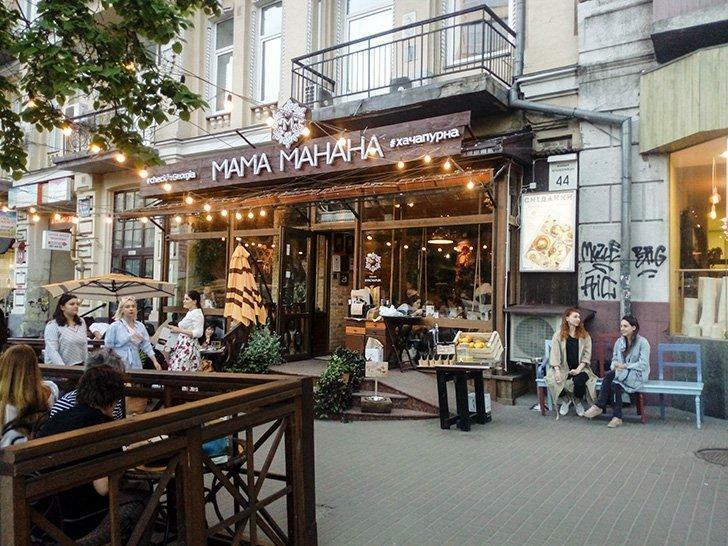 Kiev’s cafes are tasty and affordable. Kiev is a civilized city with residents who are alert and kind and will go out of their way to assist foreigners who look confused or lost. Not speaking English will not stop them from trying to help you. Most younger people speak decent English and will be only too happy to practice speaking it if you need directions. 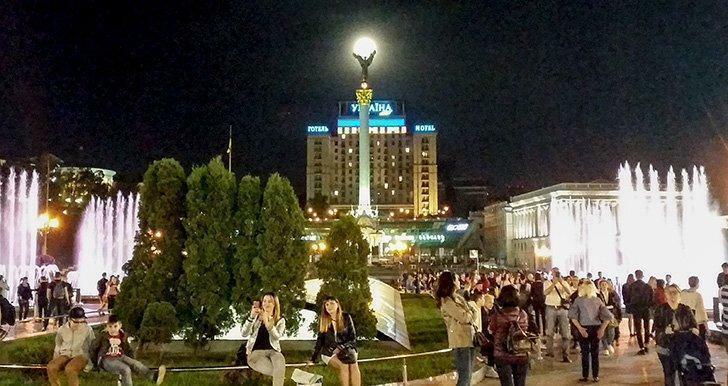 Modern-day Kiev is safe and friendly for tourists. You don’t have to worry about personal safety in Kiev. Public transportation and the streets at night are relatively safe areas, and people remain approachable for questions if you need assistance. Besides rare exceptions, shopkeepers and vendors are polite and grateful for your patronage and will rarely pressure you to buy something if you’re enjoying window shopping. This adds to the relaxed atmosphere and allows you to explore without obligation and feel the city is open for the curious traveller. Although beautiful souvenirs are to be had for great prices, the best thing I took away from Kiev this time was the sense of renewed hope in the future, freedom, and humanity. Ukraine in no way lacks the problems of the modern nation-state, but the youth of the city refuse to be dragged back into their oppressive history and continue to struggle and push forward, solving problems as they go. While war still simmers on the eastern border with Russia, the mood in Kiev remains hopeful and optimistic the future will bring better years as they look to their own national identity and culture to build a prosperous and secure future.